B2 League newcomer Hiroshima Dragonflies landed experienced 35-year old American forward Carl Landry (206-112kg-83, college: Purdue). 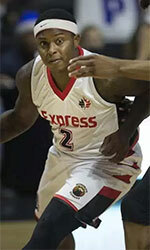 He played most recently at Jilin Northeast Tigers in Chinese CBA league. In 35 games he averaged impressive 26.8ppg, 11.1rpg, 1.5apg and 1.3spg last season. 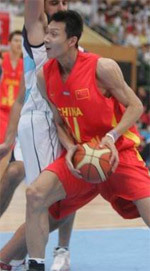 It was a very successful year in his career as he was selected to Asia-Basket.com All-Chinese CBA Honorable Mention. The previous (16-17) season Landry was tested by the 76ers in NBA. In 2007 he was drafted by Seattle SuperSonics (NBA) in second round (31st overall). The former Purdue University standoutis in his twelfth (!!!) season in pro basketball. Landry has played also professionally for other NBA teams like New Orleans Pelicans, Golden State Warriors, Houston Rockets, Sacramento Kings and Charlotte Hornets. He is close to retirement age as a player. It may be one of last seasons in his extensive career, which he may end at Dragonflies. Shows good mobility running the court. Tough nosed player who fights hard every game. Does an excellent job of obtaining space in the post where he gets his body wide for guards to make easy passes. Post footwork, shooting touch and soft hands enable him to convert most opportunities in the paint. Offensively Landry is crafty as he will use a number of fakes to get his defender off balance and draw fouls.